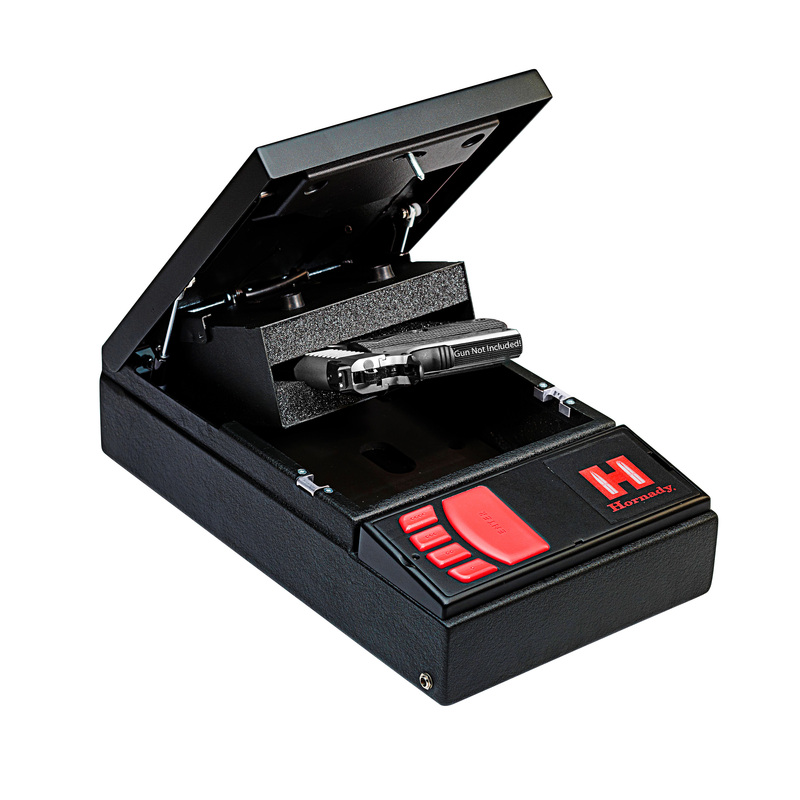 The Hornady RAPiD Safe is the first personal protection safe to utilize patent pending RFID technology for access control. 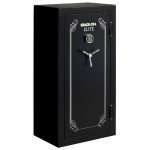 Simply place the included RFID bracelet, card or key fob on the large RFID reader and the RAPiD Safe will instantly spring open present your handgun. 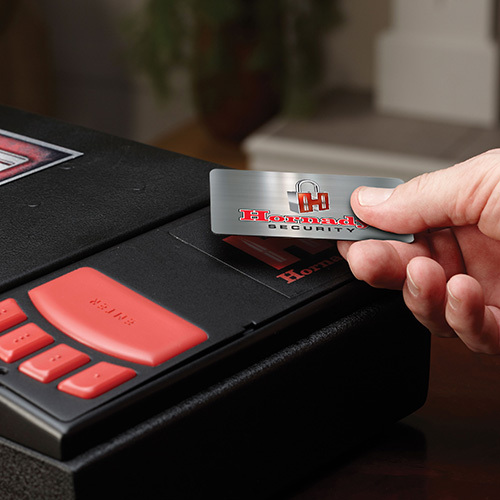 In addition to the RFID access options, the RAPiD Safe can also be opened with an electronic touch pad using a personally programmed 4-6 digit code, or with a conventional key lock. These means of access control combine to afford ease of use and provide the user the ability to choose a preferred entry method, along with several alternate options. Built to exceed the stringent performance requirements outlined by the ASTM International F2456-04 standards for Youth-Resistant Firearms Containers, the RAPiD Safe features heavy duty 16-gauge steel construction, and a dual-lug locking system comprised of two robust 1/4 inch steel locking lugs that combine to deliver a high level of child resistance and unauthorized access protection. 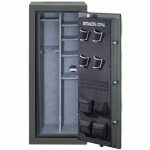 Inside the RAPiD safe is the fully padded RAPiD Sleeve; a handgun housing that presents handguns at the perfect angle; making drawing quick and easy. The RAPiD Sleeve is also removable; enabling storage of most revolvers with barrels as long as 6 inches. The RAPiD Safe uses standard household 110 AC volt power with the included power cord, and features a battery pack operated by 8 AA batteries (not included) for use as a backup power source in power outages, or as a primary power source for household or mobile use. 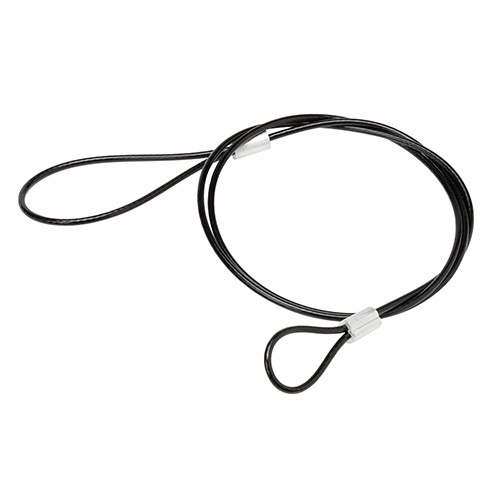 Included with the RAPiD Safe is a 1500 lbs rated security cable that can be used to lock the safe to an immovable object. 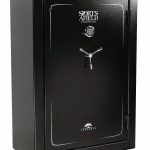 The safe also features 4 bolt holes for secure custom mounting convenience (mounting bolts not included). 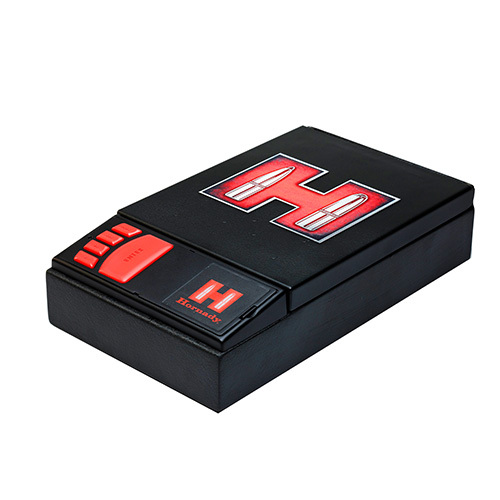 Be the first to review “Hornady Rapid Safe” Click here to cancel reply.